Mítico Hostel is an old house remodeled preserving the facade, has private and shared rooms, barbecue area, shared kitchen, common room, tour desk and luggage storage. 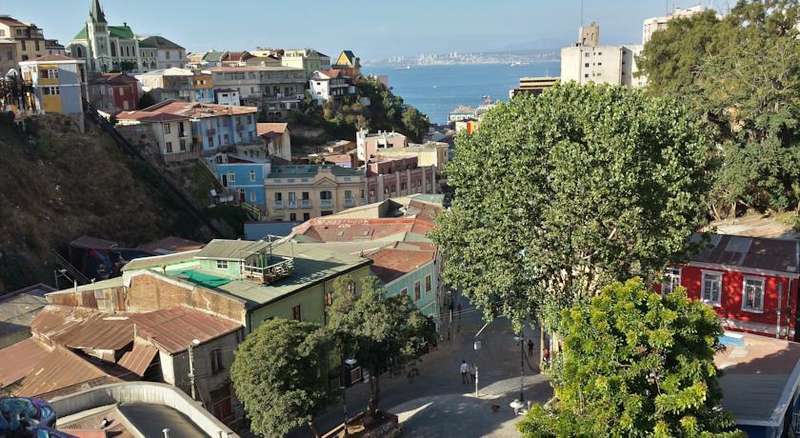 Our hostel is located in the heart of Valparaíso, here you will discover a city full of life, you can walk through the hills, discover endless stairs and enjoy the sea breeze. That is why the vision of Mythical Hostel is to deliver a comfortable and friendly experience for our guests where you can meet people from many cultures and countries. The hostel is located at 190 Camming Street, between Cerro Alegre and Cerro Cárcel. The bus station is located on Calle Pedro Montt, should take any locomotion on that street and you get off at the supermarket LIDER (Calle Bellavista). Then you walk to the Plaza Anibal Pinto and walk about two blocks up the hill until you reach the Plaza El Descanso (plaza corazones). Facing the square you can find the mythical Hostel. Cancellation is free for all rooms. Guests must notify the hostel if he wants to cancel the booking.